Q-PRONFWW Dual White LED: Normal reading and writing-single or dual LED activation. QuiqLitePro's sleek design comfortably rests in your uniform shirt pocket completely concealed under the lapel until activated with the touch of a button through the fabric of your uniform shirt pocket. QuiqLitePro's new computer circuit features a 10 minute battery saving Auto-Off feature, independent L.E.D. 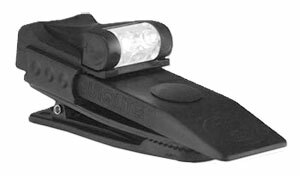 activation and New Safety Strobe - providing 50+ hours of continual light for situations when you need to be seen! 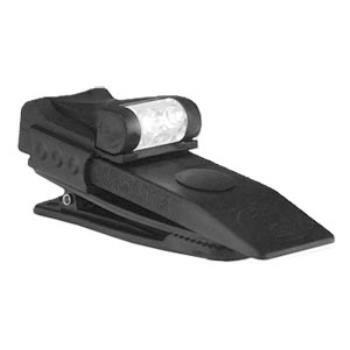 Best of all QuiqLitePro is easy to use: Just remove the adjustable QuiqClip, slide QuiqLitePro into your uniform pocket (under the lapel) or clip it to your belt, sun visor, cite book etc...and with the touch of a button you're ready to go!